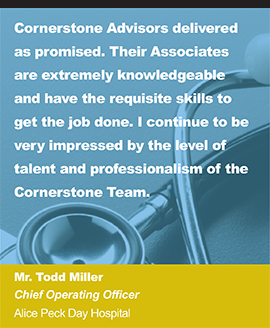 Cornerstone Advisors Group, LLC continued to achieve top scores in the 2013 Best in KLAS Report. 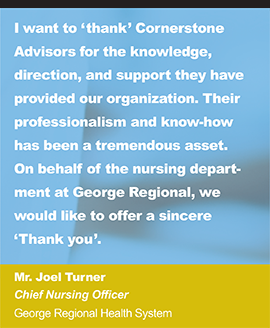 Cornerstone achieved “Best in KLAS” with an overall score of 96.3 in the Planning and Assessment Service Category. 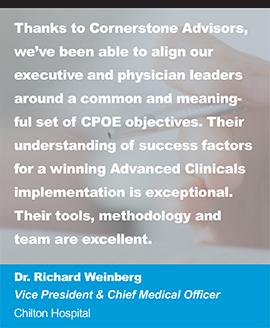 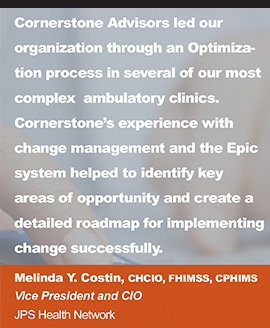 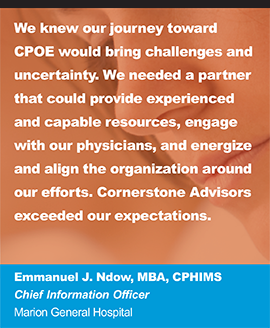 Additionally, Cornerstone Advisors achieved high scores (92.3) in Clinical Implementation Principal and (96.9) Vendor Selection Service Categories. 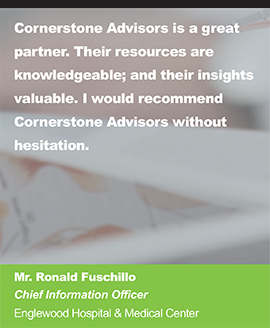 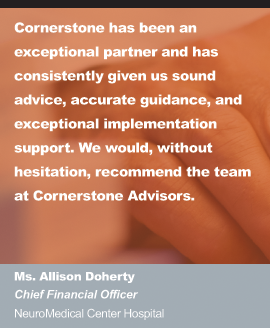 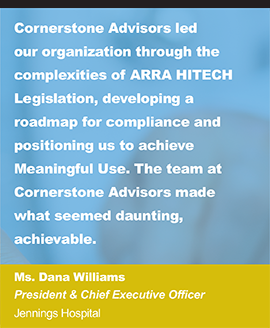 While Cornerstone Advisors continues to grow (projected at 35% in 2014), Cornerstoneâ€™s commitment to provide clients with the highest levels of service remains their top priority. 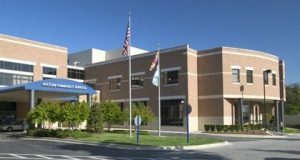 The annual Best in KLAS Software and Service awards are presented by KLAS Enterprises, LLC. 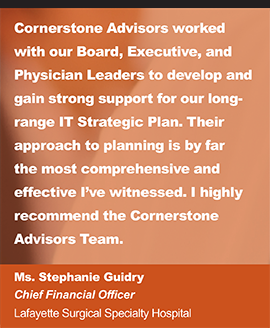 The healthcare technology research firm specializes in monitoring and reporting the performance of professional service firms. 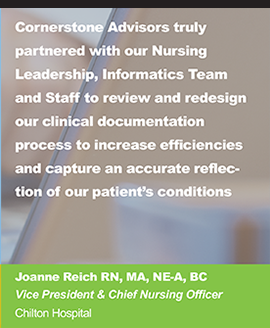 KLAS collects timely, accurate, and unbiased performance feedback from executives across the industry’s healthcare delivery organizations.